To me fishing from the bank is ideal for catching catfish. It’s a little different if you are talking about how to catch catfish from the bank of a river, or the bank of a lake. In a river you will need to have much heavier weights to keep your bait in place. 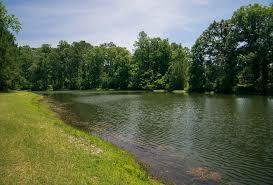 In the lake you are going to be fishing deeper and might need to cast farther out depending on the size of the lake. Either way there are some simple things to keep in mind when fishing for catfish from the bank. If you are at a lake be sure you know your surroundings. You don’t want to get your line caught in a tree or rocks. If you have never been there before be sure you check things out before you decide on a spot to fish. 1. Try several types of bait. There is a lot of different bait you can use for catfish. Personally, I’ve had a lot of luck using night crawlers. If you are in a small pond that doesn’t get fished very often, night crawlers will probably work well. 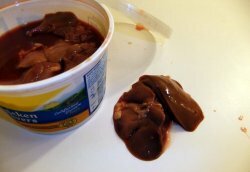 However, in a bigger lake I like to use chicken liver. I know everyone wants to know the best bait to use, but honestly its best to try a few different things and find out what is working that day. 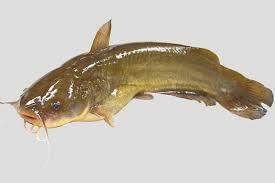 Fortunately, catfish are not too finicky since they are scavenger fish. 2. Most Catfish Are On the Bottom. I have always fished on the bottom of the water for catfish. Depending on the type of catfish, many are at the bottom of the lake. This is especially true of mud cats. I would suggest using a good 1/2 ounce sinker on your line. This will keep your bait on the bottom of the water. If you are fishing in a river, I would say use at least a 2 ounce sinker to keep your line in place. When I’m fishing for catfish I use at least 20 pound test fishing line. Also, I use a steel leader and good catfish hook for my bait. Catfish are pretty good fighters and you need to have a heavy line to bring them in. Also, some catfish get really big and you never know when your gonna catch the “big one”. Thank you for the great advice on catching catfish. I am not a fishing person but both my father and brother are. So I will pass this on to them. I’m sure that they will find this quite useful. Incidentally I was wondering what size of catfish do you often catch and what has been the heaviest? Thanks for your comment. As far as the catfish the heaviest was probably about 8 pounds, but I have seen many over 20 pound catches. Most of the time I catch catfish about 2 to 3 pounds. Sometimes 5 or more.